If you don’t find the answer you need, please call us at (800) 583-9910, ext. 121 or 412-441-8228, ext. 121; or email us at support@ingmarmed.com. You can purchase the products listed below online. The order total must be below $5,000 and ship to address must be within the USA. For international orders, orders above $5,000, or if you would like a quote for products not offered in our store, please contact us at sales@ingmarmed.com. Check – Please reference your invoice number, if possible, and remit payment to IngMar Medical, 5940 Baum Blvd, Pittsburgh, PA 15206.
Credit Card – We accept VISA, MasterCard, American Express, Discover. For orders over $5,000, please contact us at sales@ingmarmed.com. Wire Transfer – For banking information, please contact support@ingmarmed.com. IngMar Medical does not accept sender’s bank charges or intermediary bank charges. Purchase Order. Click here to submit a PO. Domestic: Net 30 days pending credit approval. You can refer to your most recent quote or contact sales@ingmarmed.com to confirm your payment terms. What is your shipping/billing address? Our standard shipping method is UPS, with charges prepay and additional. If you would like to use an alternative carrier, please note this on your purchase order and include your carrier account number. What is IngMar Medical's tax identification number? Our Federal Tax ID is 25-1780998. Our PA State Sales Tax ID is 80043438. Can you provide your W-9 (Request for Taxpayer Identification Number and Certification)? You can download our W-9 (Request for Taxpayer Identification Number and Certification) here. Will sales tax be added to our order? After your order has shipped, we will email or mail your invoice to the accounts payable address provided on your purchase order. For questions regarding your invoice, please contact Accounts Receivable at 412-441-8228 ext. 101 or by email. Your contact information, product name and serial number. A brief description of the service you need (i.e. calibration) or the problem you are experiencing. We may contact you for further information or to troubleshoot before issuing the SRO Number. Pack your product carefully to prevent damage during shipping. If you do not have a device carrying case you can use a corrugated box. Place the device inside a box with at least 2” (5 cm) of packing material such as bubble wrap or Styrofoam “peanuts” around all 6 sides. Place this box inside a larger box with at least 2” (5 cm) of packing material around all 6 sides. The sides of the box should be firm and the device should not shift inside either box. Place your contact information (name/ship to address/phone/email) inside the package. Return in original shipping box or carrying case. The cost for a replacement shipping box is $45. Be sure the 3 compliance springs are attached and the elbow is inside the box. We need a complete set to perform the calibration. The cost for a replacement spring set is $19.50. For Breather repairs, it is not necessary to return the QuickLung. Follow “Precautions During Travel” in the User’s Manual section 6.3. Leave bellows open (Resistance set to 1, 2, or 3 ) to avoid damage to pressure gauges. The customer is responsible for shipping costs, customs, and duties (where applicable) in both directions. We return ship via UPS. If you would like to use your own carrier, let us know. Clearly state on the shipping documents that the shipment is US Goods Returned. Do not indicate a customs value. Note: customs value is not the same as insured value. Do not classify as a medical device. Our products are laboratory or teaching tools. We inspect your device. If repair is needed, we will send you a Service Order Estimate. We need your approval and a purchase order or credit card before we start the work. Do you have a purchasing checklist? Refer to your most recent quote or contact sales@ingmarmed.com to confirm your payment terms, if necessary . Domestic: Standard domestic shipping will be prepay and add, shippe d UPS ground. If your preference is to ship via your (UPS, FedEx, or OHL) account, please provide account details on your Purchase Order. Expedited shipping and/ or shipping insurance is available and must be requested on your Purchase Order. International: International shipping will be prepay and add, shipped UPS standard. To ship via our account, shipping charges must be quoted in advance and included on your Purchase Order. If your preference is to ship via your (UPS, FedEx, or OHL) account, please provide account details on your Purchase Order. Expedited shipping and/or shipping insurance is available and must be requested on your Purchase Order. Tax ID – Please include your Tax ID. If you are tax exempt , please provide a copy of your state’s applicable exempt organization certificate with your Purchase Order. Terms and Conditions – Please be sure to provide documentation or a link to your terms and conditions. If you do not provide your own terms and conditions, we will assume you are complying with our Terms and Conditions . Additional Information – To ensure a seamless process, we may request contacts to receive specific information such as order confirmations, invoices and shipment tracking alerts. 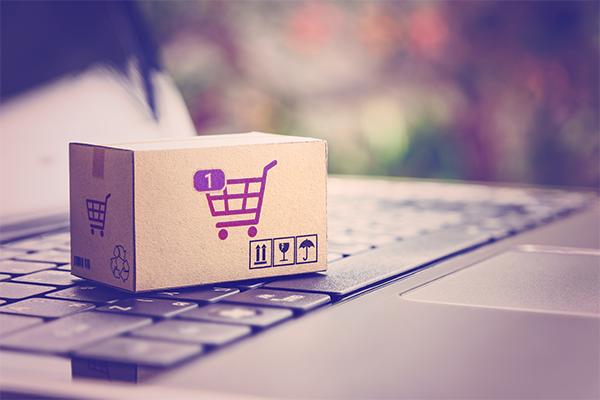 Delivery Date – If a delivery date appears on your Purchase Order, please specify whether it is valid or if it is automatically generated and can be disregarded. Wire Transfer – For banking information, please contact support@ingmarmed.com . IngMar Medical does not accept sender’s bank charges or intermediary bank charges. Check – Please reference your invoice number, if possible, and remit payment to IngMarMedical, 5940 Baum Blvd, Pittsburgh, PA 15206. New Vendor Application – Please send all vendor applications to sales@ingmarmed.com. Tax – Sales tax will not be included and it will be the customer’s responsibility to remit tax fees to your state. Order Confirmation – After IngMar Medical determines your Purchase Order is in accordance with the stipulations listed above, your specified contact(s) will receive an order confirmation within 24 hours. An estimated ship date will be included. Please review the order confirmation for accuracy. Order Shipment – Your specified contact(s) will receive shipment notifications via UPS, Fedex, or DHL. Invoice – The Accounts Payable email address provided on your Purchase Order will receive an invoice after your order ships . For questions on invoicing, please contact us at 412-441-8228 x101 (toll free: 800-583-9910 x101) or email alberta@ingmarmed.com. Post-Order Support- Customer Care may contact you to provide product support and/or schedule purchased training. For assistance, contact Customer Care at 412-441-8228 extension 128 (toll free: 800-583-9910 x128) or email support@ingmarmed.com.